2015 SUZUKI VL800L5 - Boulevard C50, VERY LOW MILES, QT WINDSCREEN, FIRST SERVICE COMPLETE, $5995 PLUS $199 DOC FEE, TAX AND TITLE. 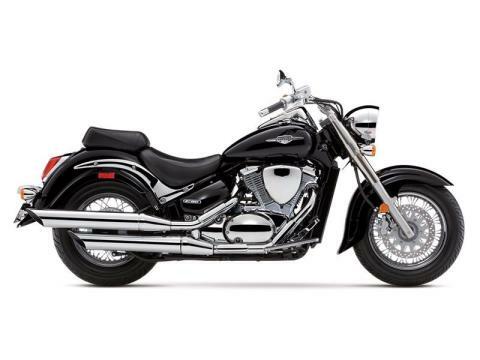 GET A GREAT DEAL FROM MID-OHIO POWERSPORTS ON THIS VERY LOW MILEAGE 2015 SUZUKI VL800L5 - Boulevard C50 in Glass Sparkle Black, LIKE NEW CONDITION, QT WINDSCREEN, FIRST SERVICE COMPLETE, $5995 PLUS $199 DOC FEE, TAX AND TITLE. YOUR NEXT GREAT RIDE STARTS AT MID-OHIO POWERSPORTS!! !